Want to give someone an awesome day out paintballing? Give the gift of an adrenaline fuelled day of paintball with the best in the business. Some gifts just last long and not remembered even weeks after they are received. 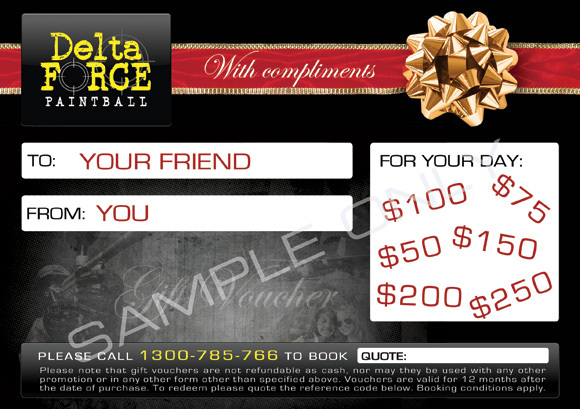 Below you can order a stylish gift voucher to the value of your choice to give a gift that will embed itself in the lucky paintball player’s memory for years to come. Just fill in the form below to receive a call back from our very helpful and friendly staff to tailor the voucher especially to your requirements.